Terrible jokes, a crazy plot and absolutely heartbreaking! 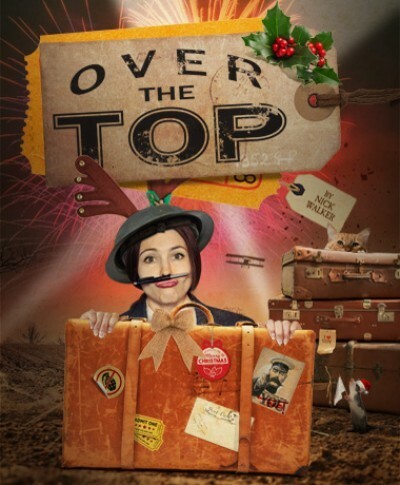 Over the Top has thrown itself into Belgrade’s B2 Stage at Coventry until 29th December. Bizarrely it describes itself as an alternative pantomime but this year I think got a lot more to say for itself than that. Ashwell (Aimee Powell) stands in front of a thin cream coloured curtain which harks back to wartime stage, Introducing us to the story and its 1917 Coventry based setting Ashwell looks to be our base character and narrator but as Mickey (Miriam Grace Edwards) peeks to see what the audience is like. 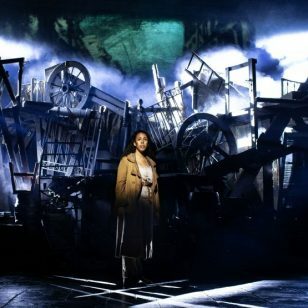 Flowers (Kimisha Lewis) is upstairs in the audience shouting things out. And Bell (Laura Tipper) seems to be very good at telling the others what to do. 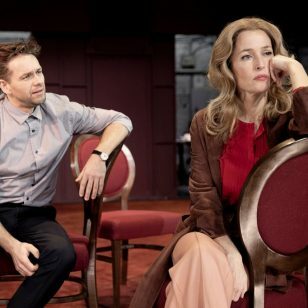 As it starts to become clear that this will be an adventure with in an adventure, the stage becomes, a plane, a french cafe and a poppy field. Or is it PTSD? Like any good comedy drama, there are jokes within the drama, which made me think of ‘Allo ‘Allo and Monty Python, the daft jokes put a smile on my face throughout. You’ve probably noticed from the names of the cast that this is a cast filled with four women. The World War One themes and the themes of suffrage are apparent from the offset. This is an intimate show in the unique space of B2 and great for any adults looking for something a bit different this Christmas. This isn’t a sponsored post. #BrumHour was invited to check out Over The Top by Belgrade Theatre.